What does it mean to grow the energy sector? Does it refer to helping tech startups and established energy solutions providers expand their businesses? Does it mean utilities finding new ways to increase electrical power supply, dependability and diversification? Developing leading-edge lithium-ion batteries? Are we talking renewables and sustainability? Or is it about helping companies save on their energy bills, one LED bulb at a time? In Missouri, it's about all those things. Battery firms are present throughout the state, including Johnson Controls' expanding plant in the northwestern Missouri city of St. Joseph. But it's southwest Missouri where the most pronounced cluster has formed. Fall 2016 saw one of the state's leaders in advanced battery development, EaglePicher, open a new 100,000-sq.-ft. Lithium Ion Center of Excellence in its hometown of Joplin in southwest Missouri. A year later, Montana-based ZAF Energy Systems announced the opening of its own new production facility in Joplin, where an initial $20-million investment will bring more than 100 jobs as ZAF seeds the market for nickel-zinc (NiZn) batteries as replacements for lead-acid batteries across such sectors as trucking, manufacturing, road construction and data centers. "We just weren't able to keep up with the demand with the capacity we had in Montana," said ZAF President and CEO Randy Moore. "The new production facility in Joplin will drastically scale up production to several thousand batteries per month, enabling us to keep pace with growing demand while also refining manufacturing processes and accelerating development efforts. By the beginning of 2018, ZAF already had around 23 people making about 200 batteries a month at the 34,000-sq.-ft facility in Crossroads Center Business and Distribution Park. "The biggest thing that made me excited is we're addressing an existing and extremely large market," Wilkins says of the company's nickel-zinc product, a proven technology that he says has twice the power and capacity of lead-acid, lasts twice as long, but doesn't cost twice as much. The timing couldn't be better either, as even lead-acid batteries — a market one might assume to be saturated — are growing business at around 5 percent a year and expect to be a $60-billion market in five years. Opportunities to power big trucks and data centers are front and center, and ZAF also is working the U.S. Navy on a product for submarines, as more and more power electronics on board mean the craft are running into physical-space constraints for batteries. "The ecosystem is largely built around the talent pool — that drove 90 percent of our decision," says Wilkins, though low rents and cost of living help too. "I'm floored at the level of manufacturing [in Missouri]. To find such a good cross-section of blue-collar workers … you just don't see that anymore. That made our minds up pretty quick." 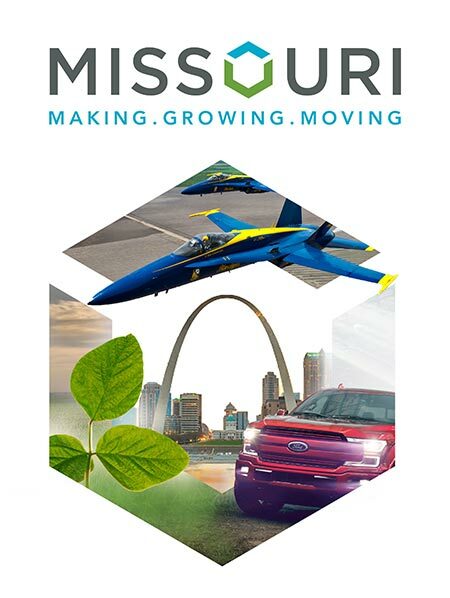 Missouri's array of energy solution providers includes firms such as St. Louis–headquartered Graybar and Emerson Electric, Johnson Controls, HNTB, Burns & McDonnell and Energizer. They are backed by institutional R&D expertise at the Energy R&D Center at Missouri University of Science and Technology (S&T) in Rolla; the Missouri Center for Advanced Power Systems (MOCAP) at Missouri Southern State University in Joplin; and the Center for Physical and Power Electronics at the University of Missouri's flagship campus in Columbia. But the state's energy picture wouldn't be complete without the power and human resources at major utilities such as Ameren, Associated Electric Cooperative and Kansas City Power & Light, which serve as both institutional infrastructure and energy solutions providers for end users. In 2016, Ameren Missouri customers saved more than 52 million kilowatt hours of energy through efficiency projects and earned more than $3.6 million in cash incentives. The program recently helped Kraft Heinz achieve over $1 million in incentives at the company's newly expanded processing plant in Adair County through installing LED lighting and motor controls and optimizing compressed air systems throughout the facility. In addition to installing smart grid technology throughout its own infrastructure, Ameren Missouri is also boosting its own stake in renewable energy, announcing in September 2017 a commitment to add at least 700 megawatts of wind generation by 2020, representing an investment of approximately $1 billion, and to add 100 megawatts of solar generation over the next 10 years, with 50 megawatts expected to come online by 2025. Earlier in the year, Ameren Missouri announced plans to build a solar generation facility at St. Louis Lambert International Airport. Across the state, KCP&L is pursuing its own retirement of old-line power plants and installation of renewables. But it's also leading another surge: According to 2017 first-quarter numbers released by IHS Automotive and the Electric Power Research Institute (EPRI), Kansas City tops the nation in electric vehicle growth. Since deployment of the KCP&L Clean Charge Network began in 2015, the metropolitan area has experienced a 95-percent increase in EV adoption. In addition, Kansas City was ranked No. 1 in driver and charging station growth by ChargePoint, a manufacturer of EV charging stations, in 2016.